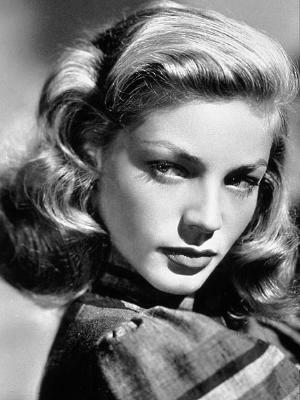 Lauren Bacall was an American actress of film, stage, and television who was famous for her deep voice. Bacall is best remembered by the public for her roles in films How to Marry a Millionaire, The Big Sleep, A Woman’s World, The Mirror Has Two Faces, Key Largo, Murder on the Orient Express, The Fan, and The Portrait. For her role in the 1996 film The Mirror Has Two Faces, Bacall won the Golden Globe Award for Best Supporting Actress – Motion Picture and was nominated for a BAFTA and an Academy Award. Born Betty Joan Perske on September 16, 1924 in The Bronx, New York City, New York, USA, to a working-class family, Bacall was an only child of William Perske, who was born in New Jersey, to Polish Jewish parents, and Natalie Weinstein-Bacal, a Romanian Jewish immigrant. She was educated at The Highland Manor Boarding School for Girls, in Tarrytown, New York, and at Julia Richman High School in Manhattan. She started her career as a teenage fashion model when she appeared on the cover of Harper’s Bazaar and was discovered by Howard Hawks’ wife Nancy. She made her film debut with Humphrey Bogart in the 1944 film To Have and Have Not. She was married to Humphrey Bogart from 1945 until his death in 1957 and Jason Robards from 1961 to 1969. Bacall died on August 12, 2014 from a stroke, at the age of 89. *She was born on September 16, 1924 in The Bronx, New York City, New York, USA. *She was crowned “Miss Greenwich Village” in 1942. *She worked as a fashion mag cover model before she took up acting. *She started acting in the 1940s. *She was named the 20th greatest female star of classic Hollywood cinema by the American Film Institute. *In 1995, she was placed at #6 in the list of ‘100 Sexiest Stars in film history’ by Empire magazine. *She wrote two autobiographies, Lauren Bacall by Myself (1978) and Now (1994). *She was once briefly engaged to singer Frank Sinatra.